Like a man's nightcap, a woman's coif was informal headwear. It would have been worn by itself indoors, or underneath a hat in public. In Western Europe it was customary for both men and women to cover their heads outdoors until the 1960s. 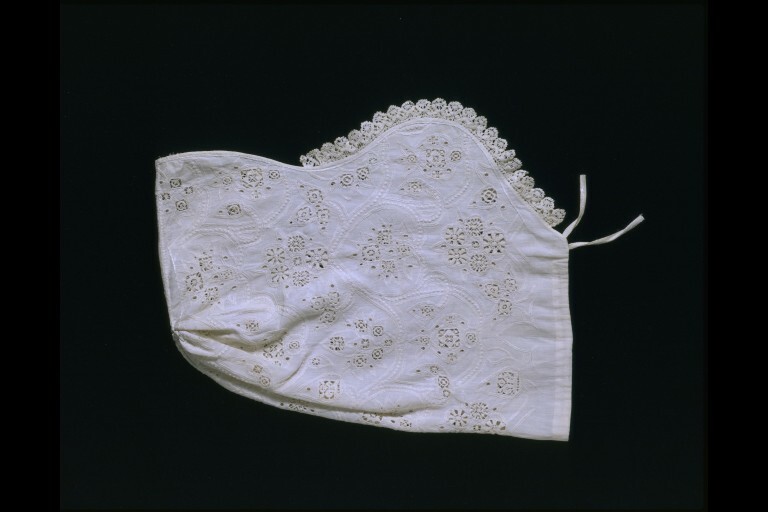 A hat was an essential part of respectable dress and, from a health perspective, head coverings were considered necessary to protect against chills and disease. 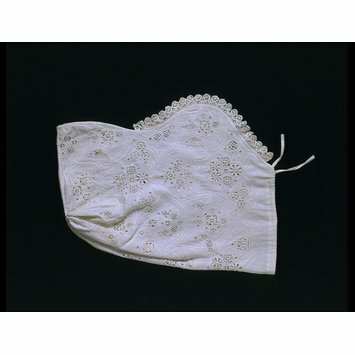 A woman's coif was informal headwear, but was usually elaborately decorated. 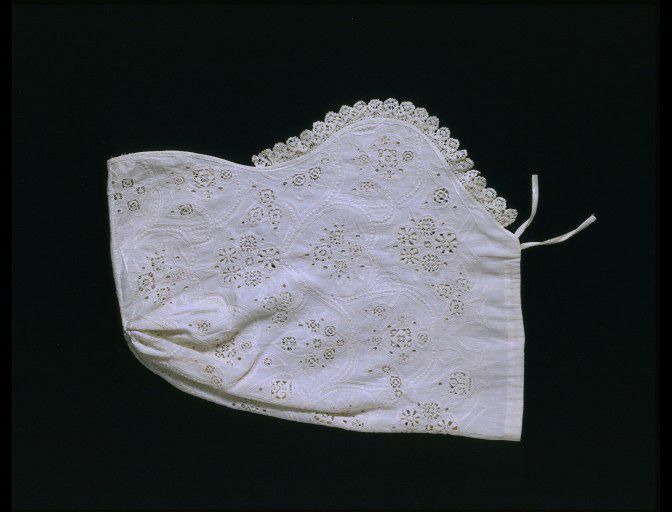 This one is a fine example of whitework, a technique featuring embroidery in white thread on a white linen ground.